The passing of Chinese writer and government critic Yang Tongyan (pen name Yang Tianshui) underlines an alarming lack of accountability for the pattern of deaths of activists released on medical parole, Amnesty International said. "Yang Tongyan was a peaceful champion of human rights and democracy, who made a huge personal sacrifice to stay true to his principles. The authorities feared the power of his writing and did all they could to silence him." Nicholas Bequelin, East Asia Director at Amnesty International. Yang Tongyan, 56, passed away on Tuesday, according to his close friends. The prominent activist spent nearly half his life in detention and was released in August on medical parole. He underwent an operation to remove a brain tumour on 23 August. “Yang Tongyan was a peaceful champion of human rights and democracy, who made a huge personal sacrifice to stay true to his principles. The authorities feared the power of his writing and did all they could to silence him. He should never have spent a single day in jail let alone nearly half his life,” said Nicholas Bequelin, East Asia Director at Amnesty International. Yang Tongyan was months away from completing a 12-year prison sentence when he was released on medical parole. His conviction for “subversion” in 2006 was based on his writings in support of political and democratic change in China. He previously served a 10-year prison sentence for criticizing the crackdown on China’s 1989 pro-democracy movement. 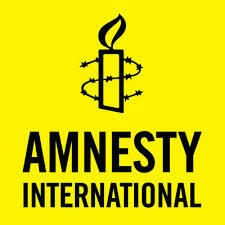 In recent years Amnesty International has regularly brought attention to the medical situation of detained or imprisoned human rights activists and government critics. In July, writer, human rights activist and Nobel Laureate Liu Xiaobo died in custody, after the authorities refused his and his family’s wishes to receive treatment abroad for his cancer. His wife, poet and activist Liu Xia, remains under close surveillance. Beijing activist and prominent campaigner Cao Shunli died from organ failure after months in custody in March 2014. She was denied appropriate medical treatment while in jail. Cao was taken away by police at Beijing airport in September 2013 while on her away to go to Geneva to attend a human rights training programme. The authorities denied her family’s repeated appeals for her to be released on medical parole, and this was only offered once Cao Shunli’s condition had become critical. Amnesty International considered Yang Tongyan, Liu Xiaobo and Cao Shunli to be prisoners of conscience, detained solely for peacefully exercising their human rights.